One of the most common reasons for poor health is inadequate digestion. If nutrients are inadequately digested they cannot be absorbed, so you don't get the full health benefit from them. This product helps with digestion support. 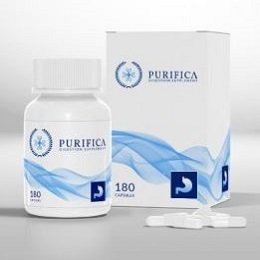 Purifica is designed to support and aid digestion, thus maximizing nutrition, so you can get the most benefit from your food. Feeling sleepy or "windy" after meals may mean your digestion is poor because you have an insufficient supply of digestive enzymes. These decline as we age, leading to indigestion discomfort. If this sounds like you, or someone you know, you may benefit from using Purifica for digestive support.